The truth is that not everyone needs a trust in order to have an effective estate plan. However, when Nevada residents are advised that their family dynamics would best be served by revocable trusts, they should seriously consider creating one. Trusts offer numerous benefits, the least of which is to avoid a long and costly probate process. The most popular type of trust appears to be the revocable living trust, which means that it takes effect during the creator’s life, and its terms can be changed prior to death. An individual’s assets are placed into the trust during life. 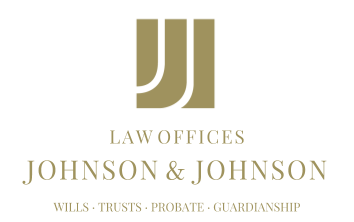 Upon death, the assets in the trust are not required to go through probate. Therefore, beneficiaries can begin receiving benefits from the trust right away. In addition, a trust allows a person to determine how and when the assets will be distributed to the beneficiaries. For example, if a person has a child who is not adept at financial matters, or is too young to make responsible decisions, the terms of the trust can restrict the child’s access to its assets in an effort to ensure that he or she receives as much benefit from an inheritance as possible. The trustee is bound to carry out the grantor’s wishes in accordance with the provisions of the trust. These are not the only benefits Nevada residents can receive from revocable trusts. These documents can reduce the value of a taxable estate. In addition, creditors, ex-spouses and others will not have access to the assets in the trust. As with any other estate-planning document, a trust needs to be kept up-to-date in order to remain effective, which is another benefit of a revocable trust since it can be changed if necessary.